In this article, we shall look further upon the impacts that currency internationalization has not only on the issuer’s economy but also on its foreign policy, international power and status, as stemming from each currency function (medium of exchange, unit of account, store of value, both at the private and the public level). This will notably allow us to understand the main signals and data that we shall have to monitor and analyse to assess the future of the US dollar supremacy and, consequently, the effects that its eventual collapse could have at the international level. In the previous article, we started pointing out that currency internationalization brings benefits and costs to the issuing country from both an economic and a geopolitical point of view, focusing notably on fundamentals. 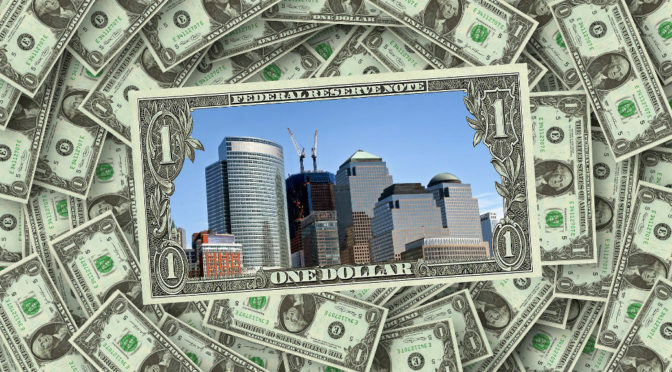 Continuing in laying out the necessary basis to examine challenges to the US Dollar supremacy, this article focuses upon the impacts that every single international currency function (medium of exchange, unit of account, store of value, both at the private and the public level) has not only on the issuer’s economy but also on its foreign policy, international power and status. First, the impacts that the medium of exchange and unit of account functions have on the issuer’s country are not only economic benefits, including reduction in transaction costs, and denomination rents, but also an increase in soft power. On the down side, when a currency acts as an exchange-rate anchor (unit of account function at the public level), it can cause limitations in independently determining the value of the currency. Second, the most relevant effects to the economic and geopolitical power of the issuer come from the two store of value functions. These take the form of an enhanced macroeconomic flexibility that allows to run important current account deficits. Furthermore, the issuing government can also take advantage of the greater centrality of its financial markets to impose sanctions on rival countries and offer side-payments. The store of value functions also enhances the ability to finance military spending. Finally, we highlight that the possibility to exert influence on the international arena also depends on the presence of alternatives to the home currency (supply) and on the value of the assets denominated in the home currency but held by foreigners (demand). In conclusion, stressing the importance of trade in determining the composition of foreign exchange reserves, we introduce the pivotal role of the petrodollar system, which will be explored with the next article. If you are already a member, please login (don’t forget to refresh the page). You can access the page through my account, click on view in “My membership table” to access the list of the articles available to members only). Our next article will therefore dig deeper into the role of petrodollars and explore its link to the status of the US dollar on the world stage. About the author: Leonardo Frisani (MA Paris) focuses currently on challenges to the US Dollar supremacy. Beyond that, his specialisation is in international security, and his main interests are in geopolitics, macroeconomics, climate change, international energy and history. Bank for International Settlements (2016), Foreign Exchange Turnover in April 2016, Monetary and Economic Department. Cappella, R. (2014) “Economic Statecraft and Power Redistribution during Wartime: Lessons from the Sterling Era and the Future of America’s Military Might”, Boston University. Cohen, Benjamin J. (2015) Currency Power. Understanding Monetary Rivalry. Princeton: Princeton University Press. Harstad, B., “Do side payments help? Collective Decisions and Strategic Delegation”, Journal of the European Economic Association, April-May 2008, 6 (2-3) : 468-477. Insana R., “What China selling US Treasurys really means”, CNBC, 15 October 2015. Retrieved: 26 October 2017. Exchange Arrangements and Exchange Restrictions (Washington, October 2016). Jenkins, L., “Panama’s Banks Face Ruin”, The Washington Post. 10 April 1988. Retrieved: 18 October 2017. Newsweek Staff, “A timeline of U.S. Aid to Pakistan”, Newsweek, 20 October 2009. Retrieved: 23 October 2017. Swoboda, A. K. (1968), The Euro-Dollar Market: An Interpretation, Essays in International Finance 64 (Princeton, NJ: International Finance Section). Viotti, P. R. (2014), The Dollar and National Security: The Monetary Component of Hard Power. Stanford, CA; Stanford University Press.